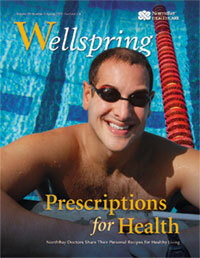 NorthBay Healthcare’s community magazine Wellspring has earned an Award of Excellence in the 2011 APEX Awards for Publication Excellence. The top award was given for the Spring 2010 issue, which featured the physicians of the NorthBay Center for Primary Care. The APEX Awards are sponsored by Communications Concepts of Springfield, Virginia, which honors the best ideas in print for professional communicators. This is the second year that Wellspring has earned this award in the category of magazines and journals with 32 pages or more. Wellspring has garnered three other awards this year: a bronze Magnum Opus award for outstanding achievement in custom media, presented in conjunction with the Missouri School of Journalism; a bronze award in the 2011 Aster Awards for Excellence in Medical Marketing; and a merit award in the 28th Annual Healthcare Advertising Awards competition, sponsored by the Healthcare Marketing Report.